A recent survey has revealed that less than 20 percent in-house legal teams have engaged NewLaw firms. The study, conducted by the Australian Corporate Lawyers Association, found that 44 percent of respondents said the limited engagement with NewLaw firms was due to a lack of understanding of what the NewLaw firms offer. Trish Hyde, CEO of the Australian Corporate Lawyers Association, says that the lack of understanding is often due to the fact that corporate legal teams do not have the time to be looking into NewLaw options for their outsourcing. “There is a number of smaller, two person teams where workloads can be such that taking the time required to understand and learn about what may be on offer, takes an investment and that may not be able to [make] given the workload pressures,” she said. Given these time pressures, Hyde suggested that NewLaw firms can communicate the value they deliver succinctly in order to inform of in-house lawyers of what they can offer. Warren Kalinko, CEO at NewLaw firm Keypoint Law, previously headed an in-house legal team. He says that there is the potential for NewLaw firms to attract the business of corporate legal teams. In his view, given the NewLaw development is still relatively small, 20 percent is actually quite a strong result. “There is no doubt in my mind that in-house counsels are looking for alternatives. Primarily, they’re looking for more value; and they want to be dealing with partner-level lawyers who can do the work efficiently. 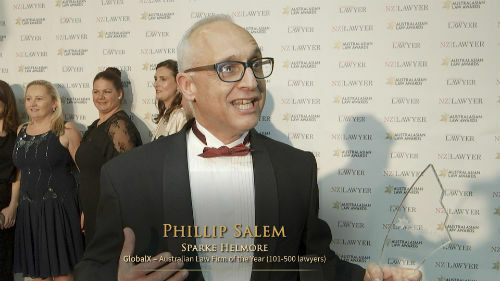 Our premise is that if you offer clients experienced lawyers, flexible fee arrangements, within a lean firm structure to bring costs down, then that is a winning formula,” he said. I agree there is a lot of confusion out there about what NewLaw is and what is the difference between the models, which is a barrier. There are a few main types of NewLaw emerging - first is the 'lawyer placement agencies' like Advent Balance and Plexus, second is the virtual subcontracting networks/ document providers like LawPath and Legal Vision. Lastly there is the independent lawyer chambers firms - currently only Nexus Law Group and Keypoint fall into that category, which in my view provides the solid foundation corporate in-house teams in order to have the confidence to move away from BigLaw on an ongoing basis. I agree with Warren than 20% is actually an excellent result, given the current relative market share of NewLaw. But, that 20% is currently mostly with the short term placement agencies, which I believe will not ultimately meet the needs of this sector. Over time I believe we will see a shift in this to more long contract placements, which only the chambers model provides effectively, because they are based on full traditional law firm systems and support. This is the ethos behind our particular 'NewLaw' business model. Regardless of the ultimate winners, I believe all NewLaw models are good and serve particular market sectors quite well compared to traditionally structured firms. Unlike others, I also believe NewLaw will not displace Biglaw - there is a place for everyone and the market will simply reach a new equilibrium over the next 5 years. What is definitely true, is that lawyers need to decide their place in the new equilibrium. Those that move early are always the winners.